Fall is basically here...and it's a time of transition ALWAYS. The time when things start toslow down but at the same time still remain fairly active. It feels like the sweet spot in between the yin and the yang, that curvy center of flow and mystery. Do you feel more productive with all of the technology available today or less productive? Do you believe it? Technology is good for productivity, but we can feel overwhelmed with the amount of information that we’re dealing with. It’s important to develop the skills to manage your digital information. If you’re using multiple email accounts, then the best tool to manage your Inbox is an email reader such as Mac OSX Mail, Windows Live Mail, Mozilla Thunderbird, or Microsoft Outlook. If you’re a Gmail user, check out Google’s mobile Inbox app. Use email folders and filters (also called “rules” or “bundles”) to organize your inbox. Use flags or stars to prioritize and sort. If you have a business, then separate personal and business by setting up a business Facebook page, LinkedIn profile, Twitter account, Instagram account and/or Pinterest board. Go to your social media settings to manage your privacy and notifications. Manage your Facebook news feed by creating friend lists so that you can follow just your favorites. Use task management software for your daily to-dos such as Microsoft Office Tasks, Google Tasks, or Wunderlist. Install the mobile versions on your smartphone so that you can check off your tasks wherever you are. Learn how to turn emails into tasks for the email program that you’re using. Import your photos from your mobile devices into your computer or use a cloud service to sync. Organize your photos by year, by quarter, and then by event. Use tags or keywords so that you can find that photo when you need it. Make sure that you’re automatically backing up your computer to an external hard drive. Your mobile devices should be automatically backing up to the cloud when you’re connected to Wi-Fi. Check regularly to make sure that your backups are happening and that your cloud storage space is adequate. Ideally, you should be backing up your computer to cloud storage as well as to a local drive. Keep an eye on your computer hard drive storage space and increase it when you get 60-70% full. Do you have questions? Contact Patricia at pat@digitalchaoscontrol.com for a complimentary consultation. Patricia Dwyer is a digital organizer and personal technology coach. To see more about Patricia, or to contact her for speaking or personal coaching, visit http://www.digitalchaoscontrol.com. Does your life look a little dim right now? Are you looking for an energetic re-charge? Looking to make more money, get that job, have that baby or find the one? Or do you simply want to learn this ancient art to be able to serve your clients better? What if there were simple ways you could add INSTANTmeaning and energy flow to your life? Would you want to know? 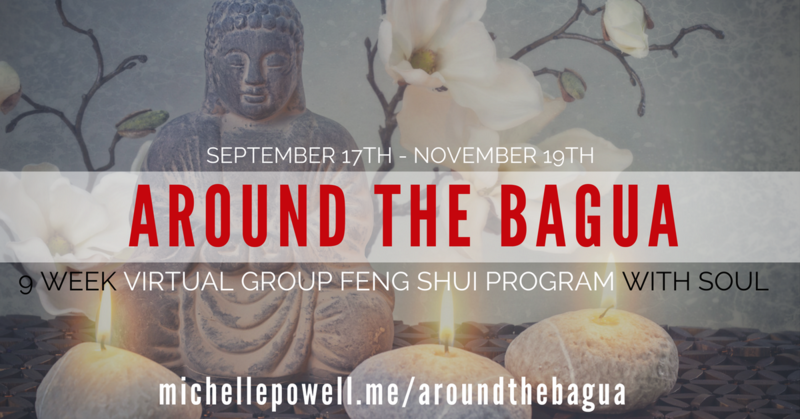 This 9-week Virtual Group Program centered around Feng Shui called Around the Ba'Gua: 9 Weeks to Energetically Up-Level Every Area of Your Life was created for this exact reason. I have been passionately performing Feng Shui sessions for over 4 years and it's now time to bring it to the masses in a more structured, affordable and comprehensive way. If you want to learn about Feng Shui and it's time to up-level YOUR life, keep reading. This program is designed to teach you about the ancient art of Feng Shui, sacred space and success through the most meaningful process I know that actually works! If you are curious about Feng Shui and how to get your home, office or any space you use in tip top energetic shape, this is the perfect class for you. Get the training, support and guidance you need to up-level every area of your life! Finally understand how to make your space and life work for YOU! If you're a service provider, learn how you can increase your value by offering this knowledge to your clients. The energetic components of each of the 9 areas on the Feng Shui Ba'Gua Map: Career/Lifepath, Wisdom/Knowledge, Family/Maintenance, Prosperity/Abundance, Fame/Reputation, Love/Relationships, Health, Creativity/Inspiration and Travel/Spiritual. 9 group classes. We meet virtually so you can attend anywhere in the world. 9 fellow participants for accountability and reflection. Groups are sometimes better than one-on-one. 1 ninety-min private Energy Alignment Coaching Session with Michelle to integrate what you need most. Private Facebook forum for continued support "after hours". A little over 4 years ago I was stuck in the biggest rut of my life. I hated every part of it and was utterly broke and depressed. Everything seemed perfect from the outside but I was miserable inside. I was quite desperate for a change and had no clue where to start. Luckily the universe had my back and sent me something at the perfect time. I am pleased to invite you to my 9-week virtual group program: Around the Ba'Gua: 9 Weeks To Energetically Up-Level Every Area of Your Life. We start January 9th and there are only 7 spots left. This class is brand new for me and inspired by my own learning and process. I can guarantee this will be the lowest investment I will ever offer for this program, since it is my first one. Take advantage of this now! Still not sure? Let's talk! I'm here to support your highest and best decision. If you are feeling something when you read this, I would suggest reaching out and scheduling an Inspiration Session now to explore if this class is a good fit for you. Tibetan Black Hat or Sect Feng Shui was practiced first over 4000 years ago by monks, and the power of this Feng Shui school is equally as great as the traditional kind. This philosophy ensures there is always a way to help your situation while only using what you have or want and never deals with absolute direction or rules. It was made popular in the west by Grand Master Thomas Lin Yun during the 70s and 80s, due to it's simplicity and accessibility to individuals. My Feng Shui teacher was trained by a student of Lin Yun. This type of Feng Shui uses the Ba'gua, or map, and places it over a blueprint of a space, with your entryway as the anchor. I am SO excited to bring this class to you, as it has been my dream for over a year! I can't wait to meet the lucky people who will be journeying with me starting in January!!! There are 7 spots left! Few times in life do women actually get total approval for being any way we want to be. Where anything goes and we get a “free pass” if you will. I think of being pregnant, being an infant or young child and those with medical issues. There is total acceptance of whatever we want to say or do during those times and all guards are down. We feel taken care of with compassion and are completely free to be our true selves (no matter how unattractive, crazy or emotional we get). Nothing we do is “too much”, people adjust around us and we are seen with pure eyes. Isn’t that interesting? I had simply accepted this as a fact until recently. Two weeks ago I attended a spiritual feminine luxury retreat with 9 other women in Palm Springs. We were to have no technology, dive into ancient feminine teachings, conduct sacred sister circles and be initiated as a “Queen”. Archetypes like the Queen or Warrior are a huge part of spirituality. They hold the role to play when seeking to embody truth and power. Little did I know, though, that this was a half-silent retreat. That meant every night after circle we would go into silence until lunchtime the next day. For someone who has never done anything like this before, I was scared and shocked which is an understatement. How were we to communicate? How will we pass the time? We were sharing rooms and bathrooms, how was this going to work? I had to put full faith in my mentor and myself to trust the process, which I have been working on in my life lately anyway. This was a powerful opportunity to put this trust into action. It was time for me to step up my spiritual game and accept whatever came up. As with any first time, it was a little awkward. I wanted to connect with the lovely women around me! I wanted to ask questions and laugh! I wanted to talk about what we just learned. When I was left to myself, in the actual presence of the other women, I didn’t know how to handle my emotions or feelings. I felt the energies of everyone, but was forced to be with only mine. What I realized was that I had been denying myself for so long. Part of being a Queen is honoring her own time, space and body. She doesn’t seek attention, acknowledgement and social activities when there are decisions to be made or deep learning to understand. She knows what she needs and never has to explain herself. She knows she holds the power for change in herself and her Queendom. With great power comes great responsibility. She sets strong, healthy boundaries. That silence was a boundary to protect our process of everything we had just learned and felt. It kept us incredibly present and created space for the information or whatever feeling that came up to ‘land’. It allowed us to be in our bodies, not in our heads, to embody our truth we intrinsically are as women. It was permission to feel and be any way we wanted to. There was no judgement and no criticism from ourselves or the others. There was only love, acceptance, compassion and freedom. This is where we, as women, are safe to shine. Instead of succumbing to the belief that we only get a few chances to be completely free and authentic, I now understand that once we sit with who we are without distractions, we find our safety. In that safety, we have freedom. It is when we let our minds or outside circumstances take control that the perception of safety is absent and we aren’t able to claim our power. Our power is in our being and our body, not our doing or intellect. Technology such as phones, Facebook, TV, music or apps as well as engagement with others can be a distraction from what we really need to thrive, and inevitably keep us stuck. There is a time and place for it - I’m not suggesting to go all hard-core no technology. However, l invite you to give yourself enough space and time to discern when healing and processing need to be honored. You can have this whenever you need. Trust the process. This concept has changed my life. I believe it has to experienced before one can fully understand it. I’ve heard about going off the grid my entire life, but not until 32 years in did I accept the challenge. Oh, and Sacred Sisterhood helped. Have you experienced going off-the-grid? If so, I’d love to hear all about it in the comments! If not, how and when can you create some off-the-grid silence in your life? You are moving house and you are selling your estate at the same time. That is a very ambitious step, especially when you need to preserve a positive mindset and develop extraordinary organizational skills. Have you ever wondered how the professionals do it? The secret is to start pre – packing and to keep the clutter at the minimum. Don’t feel anxious every time you hear the word “clutter.”Actually de –cluttering is your ally in times when you need to make your home presentable and ready for viewing. You don’t want your potential buyers to see your house at its worst. Remember, your primary purpose is to sell your estate not scare the visitors. Plus, you will be finished with half of the work by the time the house movers arrive. Before removing all the unnecessary items you need to decide what you will take with you and what you will leave behind. Divide your possessions in three categories: keep, throw and sell/donate. Open house days during the selling process will inevitably influence your family routine. That is not an excuse not to put any effort. You should make your home stand out. Focus on its advantages. In order to do so, you need to remove all the personal items like toys, photos or your children’s artwork. Think from the perspective of a buyer. Ask yourself what you find appealing in a place. Organized and clean home is probably ranking at one of the top positions. Reduce the excess of furniture and other accessories in the living areas that may distract the visitors. Make your bedroom as simple as possible. Keep only your seasonal clothes. Pack everything that is non – essential. In this way the viewers will focus on the overall atmosphere of your home, instead of the overwhelming mess. Right timing is the key to deal properly with the situation. Start the de – cluttering process earlier. Do it during the weekend when you have more free time. It is recommendable to spare 10 to 15 minutes every day for small organizational activities. When you spot an item that needs to be stored, either put a tag on it or place it immediately where it should be. Go room by room. Collect everything in removal boxes that are named and numbered. This will facilitate the unpacking process. Don’t store the boxes in the garage. The area is also included in the viewing. Some removal companies offer the option to store the excess of items. After finished with the de – cluttering process, don’t let your home get messy again. It’s tempting to start buying new stuff after you got rid of your old belongings. You should talk to your children and explain why they need to have their rooms tidy and put in place their toys. From a psychological point of view, pre – packing will give you the opportunity to get used to the idea of moving house. So don’t wait until the last moment. Get your home ready for visitors now! What does a cluttered closet, a draining schedule and an overwhelmed procrastinator have in common? Lack of inspiration. Sure, proper support and a productive game-plan are what it really takes to have an organized life and space, but we mustn’t forget the path TO that arena, which is what inspires you to take action! With all of noise out there on how to organize this or that, how to make your home more beautiful or what to do in order to have a smooth transition into our new home, it's no wonder anyone gets overwhelmed. How could we pick what and who to listen to? It's a dangerous road, however, because once we're on the overwhelm path, we usually stop in our tracks. No movement means stagnant energy which means too many negative consequences. It's quite important that we surround ourselves with the motivation and inspiration we need to stay ON track with our needs, goals and desires. Are you inspired to live and be the best you can be? If not, what's missing? For me, this time of year is a full on parade of motivation. 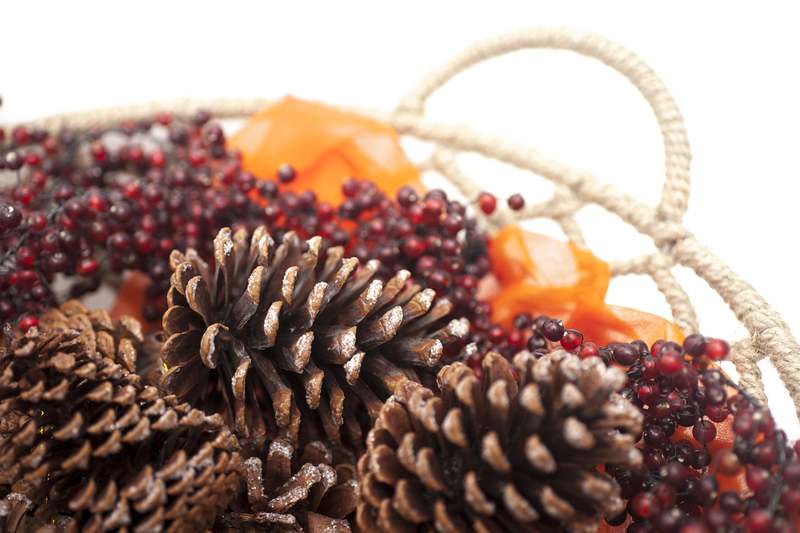 The weather is brisk, the colors are abundant, changes are in the air and the holidays are bustling with enthusiasm! A piece of me awakens and my creativity soars. I'm also inspired consistently by my clients. I consider them my muse. For others though, this time is a bit stressful, chaotic or dismal. In general, if we aren't inspired, our greatest vision for ourselves and our spaces can't come to fruition. We get stuck in overwhelm, other people's expectations/standards or a desperate need for connection. We settle. We deal with it. We lower our quality of life or let life pass us by. If we pinpoint why the holiday season is so exciting to most, it's because of the universal energy towards joy, cheer, giving, connecting and entertainment through constant sources in all directions. The inspiration is everywhere! And if we are not inspired to enjoy ourselves, we're considered a "scrooge", because, how could we not enjoy ourselves? What if it could be different? What if you could be just as inspired to enjoy yourself as you were during the holidays (or whenever you are most inspired) ALL THE TIME? It's possible, my friend. The key here is eliminating things that are taking away from your inspiration first, then actively pursuing activities, resources or people that inspire you so everything you experience can be more meaningful. - An auto mechanic might value technical engineering or expertise. He could eliminate a night of TV watching and go to a car show. - A fashion model who values spirituality over superficiality might ditch the party and head to a yoga retreat. - What about a workaholic business woman that really wants to make a difference in the world and values teamwork? Perhaps instead of taking her work home with her, she could volunteer for Habitat of Humanity. My point may seem obvious, but it appears to be a growing epidemic. What in your life are you doing (or not doing) that makes you feel blah? That is exactly what you should let go of NOW and replace it with something that makes you thrilled with anticipation before you do it. The after effects of this small shift will trickle all the way from your happiness to your wallet. It will give you more fulfillment and purpose in your life so you can experience more success, fun and freedom! So, what inspires you? What do you need to look at, listen to, play, read, work on, feel, believe, pursue, ask for, chant, choose or invest in to amplify the quality of your life? No matter what it is, it's within reach and closer than you think. If you are not sure or think you might need a little support in this area, I would like to invite you to take a look at my 3 month Virtual Coaching Program. I'm offering a deep discount until November 30 for only 3 people, so take a look and schedule an Inspiration Session if you think this might be for you! What do you want to commit to inspiring yourself with? Do tell! Comment below. May you always be inspired to be your best and live like you want to. This is a touchy subject, but I felt the need to address this as it has been on my mind these past few months. I see too often the negative side effects that are infiltrating people's lives from feeling shame in regards to their home. Potential clients decide on not receiving help because they feel too stuck or think they can just get through it or deal by themselves. Almost EVERY single friend of mine says "don't judge me, my house is a mess" or some version of that when I come into their home. When we feel ashamed, usually we are a member of the perfection paralysis club or are just feeling downright unworthy. I don't want to be associated with a "high-and-mighty" persona, nor do most Professional Organizers. We are all here to help you because we have been in your shoes at some point. We LOVE creating solutions for you and holding your hand through the process. We actually ENJOY this work and want to help as many people as possible because of our passion. There is nothing we haven't seen. If we actually do come across something we haven't seen, curiosity rules, not judgement. We are all waiting for YOU to step up and be vulnerable so we can guide you through ease and fun in order for you to reap the rewards you are searching for. I really wanted to clear this up for anyone out there that might be holding back on seeking support. This is why I write blogs. This is why I have social media channels and do FREE Inspiration Sessions. To help YOU get clear on where you are, where you want to go and how to get there. If it's not with ME, let it be with someone else. No one can do it alone. I actively support and promote my fellow Organizers, as not everyone will resonate with me. I believe in true teamwork and that there is p-l-e-n-t-y to go around. If you are in a sticky situation in your space, I encourage you to reach out sooner than later. To me, to a friend, to a family member, to any professional...honor yourself and your needs by receiving the support that is waiting for you. It's fall and the energy right now is perfect for this! • YOU ARE NOT ALONE & IT'S NORMAL TO FEEL THIS. Like I mentioned above, so many of my potential clients, friends, family and acquaintances are showing signs of shame and embarrassment regarding their home or even their emotional state. Imagine how many people in your own network are feeling just like you, maybe in a different way. We ALL feel this way sometimes, even professionals. • ADDRESS YOUR FEELINGS. Ignoring it or making yourself busy as a distraction will only cover up these feelings and enable the habit to keep coming back. Also, productive avoidance will also delay the results and are basically a sign that you want to be distracted from this feeling. Only when you shed light on shadow emotions can they disappear or transition into positive ones. • REACH OUT. When you ask for and receive support in any way (even if it is researching), your world will open up. Find the help you need. You will connect more, you will feel more fulfilled, you will be happier, you will think more clearly, the list goes on. In other words, It's worth it. • BELIEVE YOU ARE WORTH IT. You deserve your desires and you deserve help. No one can know or be good at everything, that's why we all need each other. Most people want to help others, so the trick is finding the right fit of expertise and need. Know that you have a perfect fit waiting for you that will light you up with positive enthusiasm when you find it. Imagine what the other side of shame is. Think of your life or space without it and that is what's possible. Go easy on yourself if you are fragile, but know that your vulnerability is key to receiving what you need. Confession: As a Professional Organizer, I can get a little unorganized sometimes. Do you ever wonder what goes on behind closed cabinet doors in an Organizers home? I am on a mission to showcase how easy Organization is, and how normal all of our situations are – no matter how messy it is. Sometimes, Organizers are messy and disorganized too. What's the one differentiating factor between them and the rest of the population? We catch ourselves, know what to do and do it. Back story: My husband recently moved out of his office and started working from home. His furniture is much nicer than mine, so we decided to swap them out, leaving me with furniture to sell or let go of. The majority of it went fast. One lonesome desk (that we spent hours painting, sanding and updating) still remains after over a month of no takers. It's too heavy to quickly take it out to the curb, especially with our staircase. Perhaps, I might be hoarding this little desk because I don't want it to end up in the wrong hands, but that's besides the point right now (later blog). SO, it's been out in the living room, taking up valuable space and not matching a thing (design mis-match makes me cringe). Today, I realized that the top of this desk hasn't been clear since we put it out here. I had accepted the invitation of a new surface to lay out bags, notebooks, packages, trash - you name it - on top of it, consistently. My subconscious probably got a little overzealous to the fact that this new surface had no purpose so I was free to do what I wanted with it. My freedom value and slight rebellious nature took advantage of this and turned the desk into a bit of an eye sore. I have been in denial and ignored the whole situation until now. I realized I had a clutter catcher! My purse is now hanging on its special hook and I have cleared the surface accordingly. I have re-committed to the process of getting the desk out and not using the surface for my convenience. >> Moral of the story, save yourself from your own clutter catchers! Those areas that we dump our items into or on, the "catch all" or junk drawer, the hall closet, the backpack, the car, whatever it might be- become aware of it now! Know that it is not serving your highest good or the efficiency of the space by ignoring it. Tame clutter catchers by either taking away the space culprit or giving it a purpose. Do you need an organizational product? Can something you already own go on top of the surface? Do you need to organize or pay attention to the contents? Step into the life of Carrie Lane, a college Professor at Cal State Fullerton. She talks about how organization impacts her work and her student's success. What If Your Clutter Was A Path To Healing? Is clutter weighing you down? Maybe you have wanted to host gatherings at your home for the last several years, but you're just too embarrassed by all the clutter. Maybe you've started your decluttering project many different times, but you just don't seem to be able to follow through with what you start. You deserve to love your home. You deserve to be supported by your space. There is hope, there are answers, and they might not be what you expect. Join Clutter Coach Tracy K. Pierce for the free teleclass, What If Your Clutter Was A Path To Healing?, Thursday August 28th and get ready to learn some new things about your clutter you may have never heard. Tracy has been helping people declutter their lives professionally since 2008. This is a no fluff, totally FREE event you won't want to miss. If you’re ready to transform your life by releasing the clutter, be sure to sign up now. PS Don't worry if you can't make the live call, the teleclass will recorded so you can listen in for 72 hours afterwards, but be sure to sign up so you get the information on how to access the recording!